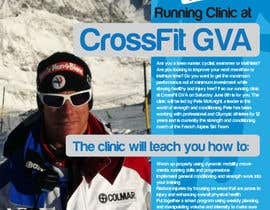 I will be hosting a day long running clinic on June 8th at my gym in Geneva, CrossFit GVA. 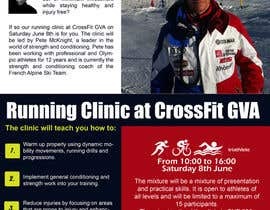 The clinic will be delivered by a very high level coach (has coached Olympians and professional athletes). I would like an eye catching, well designed and laid out advert that I can use to promote the seminar. 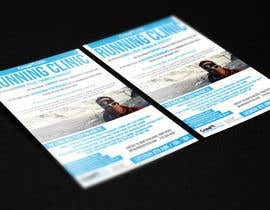 The advert will be used both as a printed leaflet as well as online. 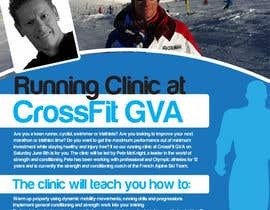 Are you a keen runner, cyclist, swimmer or triathlete? 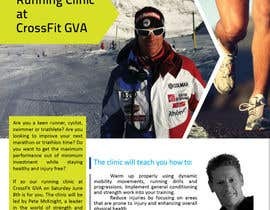 Are you looking to improve your next marathon or triathlon time? 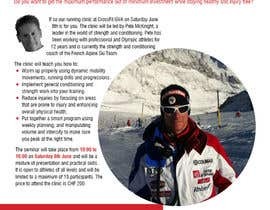 Do you want to get the maximum performance out of minimum investment while staying healthy and injury free? 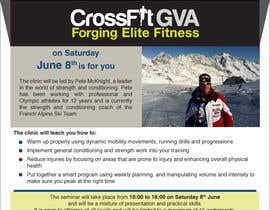 If so our running clinic at CrossFit GVA on Saturday June 8th is for you. 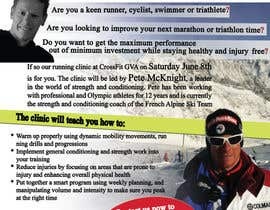 The clinic will be led by Pete McKnight, a leader in the world of strength and conditioning. 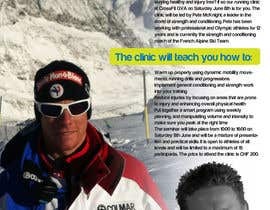 Pete has been working with professional and Olympic athletes for 12 years and is currently the strength and conditioning coach of the French Alpine Ski Team. 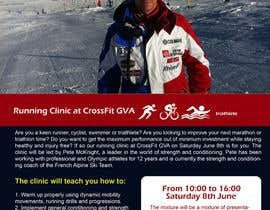 The seminar will take place from 10:00 to 16:00 on Saturday 8th June and will be a mixture of presentation and practical skills. 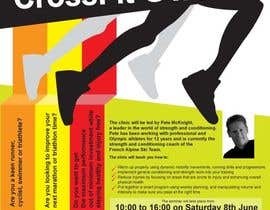 It is open to athletes of all levels and will be limited to a maximum of 15 participants. 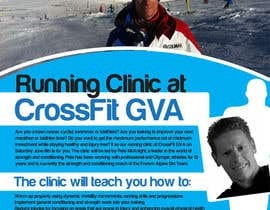 The price to attend the clinic is CHF 200. 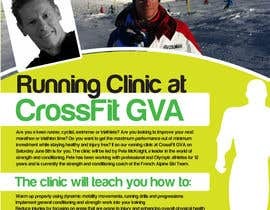 Contact us now to reserve your space at info@[login to view URL] or 079 304 5056. Hello. Please consider the #15 example. 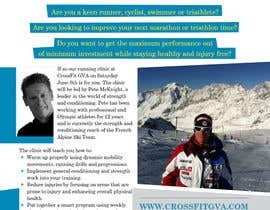 If you like it or want anything changed it will be a pleasure for me to work with you. 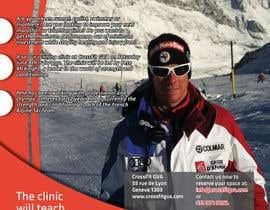 Hi, what is the size of the advert?